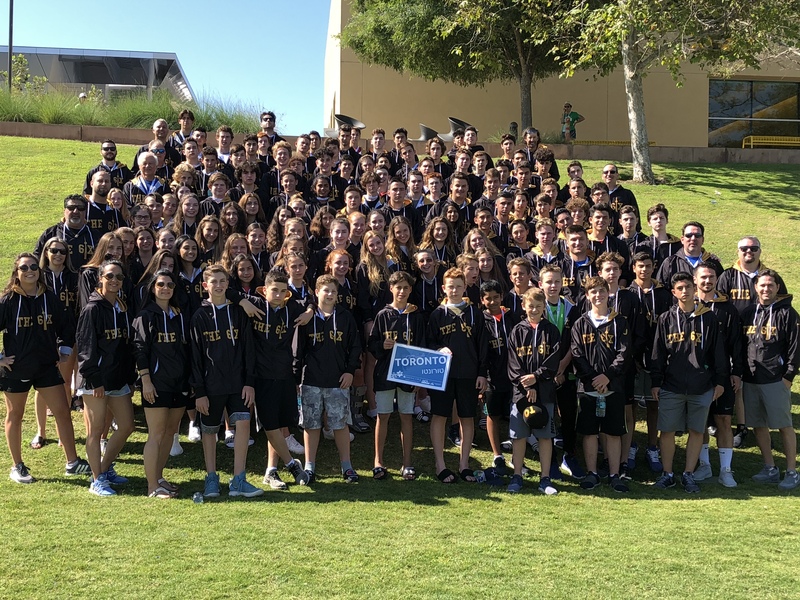 JCC Chai Sports is the sole provider for Toronto’s JCC Maccabi Games Delegation, taking teenagers from the ages of 13-16 to the Junior North American Games each summer. We took over Team Toronto in 2010, taking only 10 athletes and one coach to Baltimore, MD. By 2014, our program grew over to 100 athletes, several artsfest participants, numerous staff and hundreds of spectators. The JCC Maccabi Games have become a staple of JCC Chai Sports’ programming, and in the Jewish sporting community. JCC Maccabi Game, kicked off in 1982 with a big mission. It was designed in order to: provide Jewish youth with a supportive environment that fosters mutual respect and sportsmanship, where they can interact in an atmosphere of fun, democracy, and peace; cultivate a deeper understanding and instill an appreciation of Jewish values within Jewish youth, enrich their Jewish identity in an informal setting, and encourage their identification with the state of Israel; promote and encourage the health, physical fitness and well-being of Jewish youth through participation in recreational and athletic activities; and introduce Jewish youth to the international Maccabi Movement, which presents athletic, cultural, and social opportunities with Jews from around the world. The games take place every August in a different North American market for teenagers, ages 13-16. A player is eligible if they are no younger than 13 and no older than 16 by July 31st. There are no exceptions to this rule. JCC Maccabi Toronto is proud to announce that we will be sending our entire delegation of well over 125 participants to Detroit, MI on August 4-9, 2019. More information for teams, sports and Artsfest will be released in the coming weeks. Please check out our tryout page for the latest information.